This House Is Haunted társasjáték - Magyarország társasjáték keresője! A társasjáték érték! 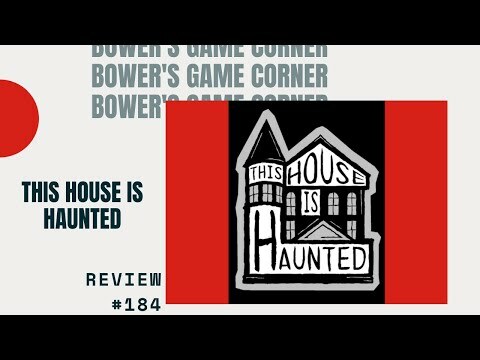 This House Is Haunted is a new silly and spooky exploration-based card game where you use your house as the game board! Combining elements of co-operative play and secret rogue players with unbelievably immersive gameplay, This House is Haunted is a truly original experience. Each turn players begin in the designated Home Room where the current leader decides what rooms in the haunted house players will go to in order to draw cards. There are 6 different types of cards that can be drawn. Seals, Blessings, Curses, Demon Marks, Hexes, and Haunting Cards. Haunting Cards trap players in rooms, where they must follow the card's instructions and terrorize visiting players. Our brave human players are attempting to retrieve enough Seal Cards and get them back to the Home Room, but if they draw too many demon Mark Cards they can become possessed and secretly change to the demon's team.